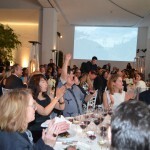 Ornellaia, one of Italy’s iconic estates, recently announced in Los Angeles the fulfillment of its 8th edition of Vendemmia d’Artista, a project that showcases the marriage between the world of contemporary art and fine wine. 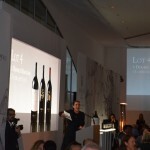 The wine maker held an exclusive benefit auction at the Hammer Museum in West Beverly Hills which included nine special-edition bottles created by Japanese artist Yutaka Sone to capture the essence of Ornellaia 2013 ‘L’Eleganza’ (Elegance). Heinz, added what is striking about Ornellaia 2013 is that it has a long and delightfully aromatic finish, which leaves a lasting impression of elegance for the taster. 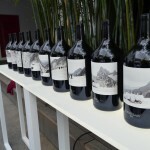 Sone created a site-specific work of art that is now part of the Ornellaia estate’s contemporary art collection, and exclusive bottle labels, individually signed, that went to dress the 109 large-size bottles of Ornellaia: 100 3-liter double-magnums, 8 6-liter Imperials, and a single 9-liter Salmanazar. 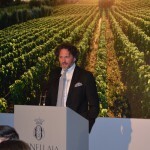 In addition, he created a special 750-ml bottle of Ornellaia that will be included in every six-bottle wood box. 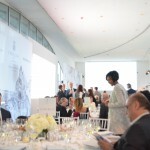 The auction took place as part of a gala dinner during which Andrea Fiuczynski, EVP/Chairman, Sotheby’s Americas, oversaw the bidding. 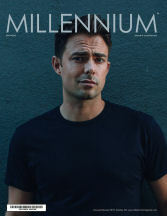 The auction raised about $130,000 US, with all proceeds going to the Hammer Museum. 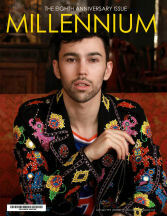 Proceeds will benefit the exhibitions, collections, and nearly 300 annual public programs that are free to the public. 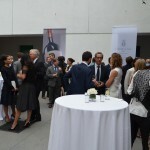 This well executed affair invited notable LA socialites to join in the celebration. Despite a balmy spring eve, guests were delightfully engaged in social conversation, admiring the artist’s works and wines. 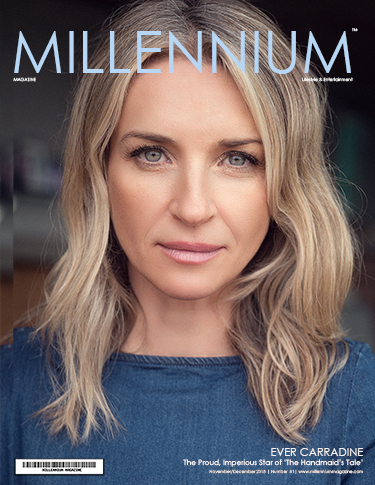 Ornellaia’s Vendemmia d’Artista project has now donated over $1.5 million euros to art foundations around the world including the Whitney Museum in New York, the Neue Nationalgalerie in Berlin, the Royal Opera House in London, and the H2 Foundation in Hong Kong and Shanghai. 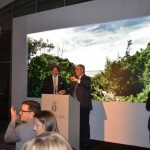 “The Vendemmia d’Artista series is a wonderful way of combining the characteristics of each vintage of Ornellaia with a world class artist’s interpretation of that specific year,” said Jamie Ritchie, Sotheby’s CEO & President, Americas & Asia. 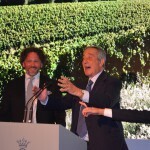 Later this month the Italian Embassy in Tokyo will host a celebration in honor of the 150 years of diplomatic relations between Japan and Italy, during which the Ornellaia 2013 ‘L’Eleganza’ bottles will be introduced and exhibited.